Rassul went to Rice and double-majored in Poetry & Beer. Luckily the latter had career options. In the decade before founding Buffbrew, his experience spanned all three tiers of the Beer Industry. He bartended & homebrewed in college. Upon graduation, he worked his way from Route Salesman to Sales Analyst for the top brass at Silver Eagle Distributors (one of the largest wholesalers in the country). 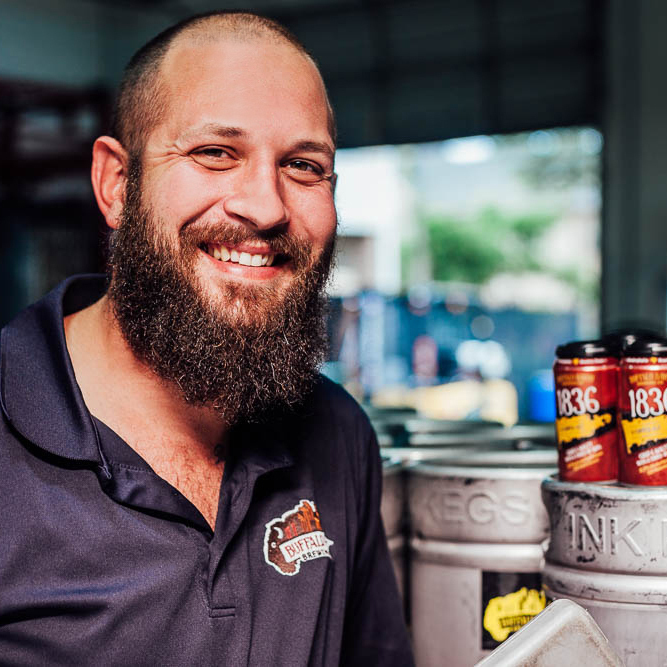 After getting an MBA at Harvard Business School, he joined one of the top 25 craft breweries in the country, helping them turn around & prepare to sell an under-performing distribution subsidiary. All things beer and, well, a lot of things not beer. Mad scientist behind all of Buffbrew’s forward-thinking flavor combinations. He started his beer career on the kitchen side of a brewpub (hence his culinary approach to beer). Ryan & Rassul met at Uncle Buck’s in Grapevine, where Ryan had tricked the GM into buying barrels under the furniture budget and filled them overnight while the boss wasn’t looking, proving that creativity cannot be stifled even in the most corporate of settings. Alex partnered with Buffalo Bayou in 2016 after a decade of experience covering various sectors in the oil and gas industry. 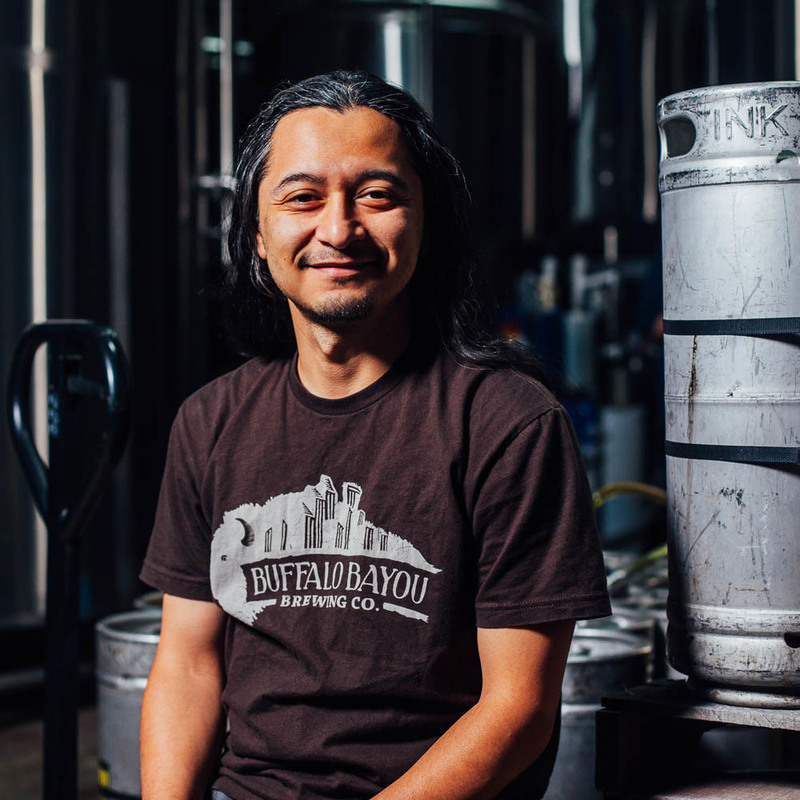 Graduating with a dual degree in Engineering, he spanned the globe in support of business development for a multibillion-dollar venture portfolio, but kept his most sacred time for homebrewing and craft beer “research”. He has since traded in the neck tie for a slightly longer beard and the ability to help a young company while doing what he loves. Fueled by MCB, he draws on best practices from multiple industries to drive his obsession with innovating new ways to get better tasting, more cost-effective product into your hands. Daut joins the herd after years creating and reconceptualizing some of the top restaurants and bars in Houston. He holds undergraduate degrees in biology and chemistry as well as an MD, just the perfect guy to spearhead our new restaurant and bar. His unmatched attention to detail is off-putting as he will not consume a beer without a perfect head. This business oriented feller fancies employees as the biggest and most valuable asset to an organization. Sales Manager. Leader of the Herd since 2014. Known to give the best hugs in the world. 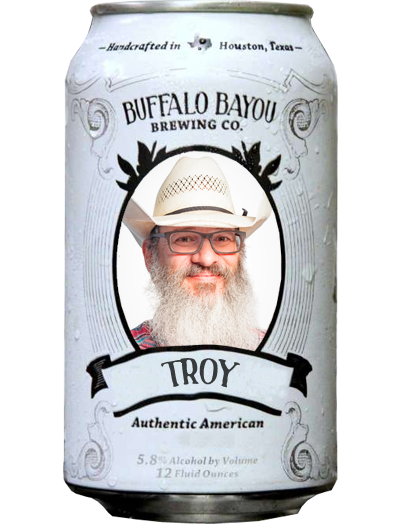 Troy has 34 years of experience in the Hospitality & Beer Industry: his experience spans the full spectrum from ultra-corporate (TGI Fridays, Dave & Busters) to ultra-independent (Petrol Station, Brews Brothers). 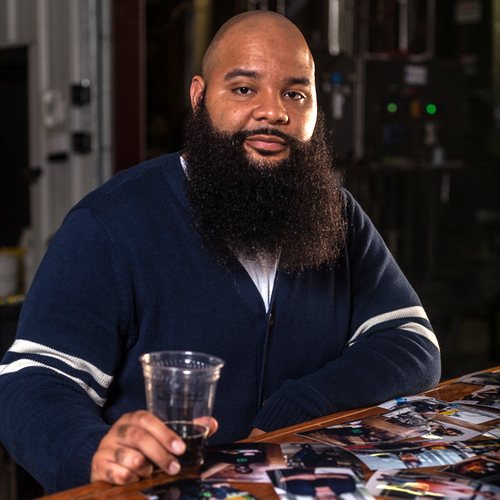 He met Rassul at Petrol Station over the first ever test batch of Gingerbread Stout a year before Buffbrew opened. 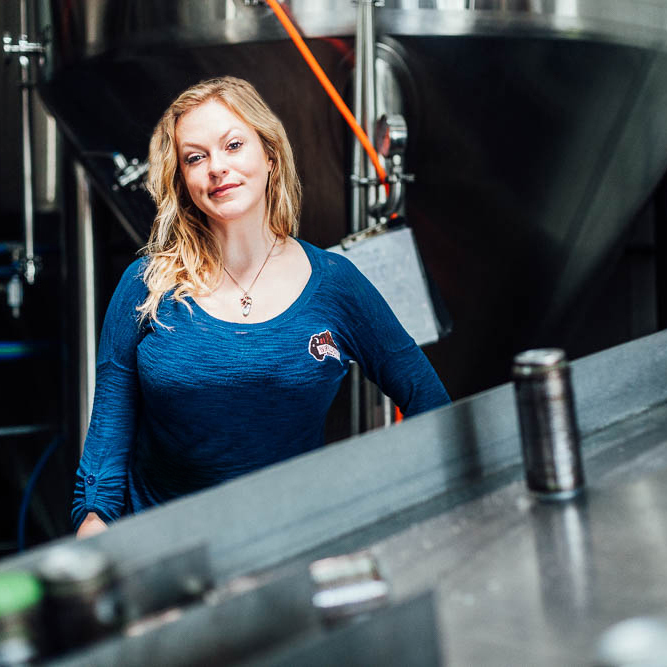 Day One member of the Herd as our Brewing Operations Manager. He has a PhD in biochemistry from the University of Texas M.D. Anderson Graduate School of Biomedical Sciences and runs all of Buffbrew’s daily brewing operations. Upon graduating he traded the monotonous academic life of microscopes and labs for the exhilarating brewing life of squeegees, microscopes and labs. 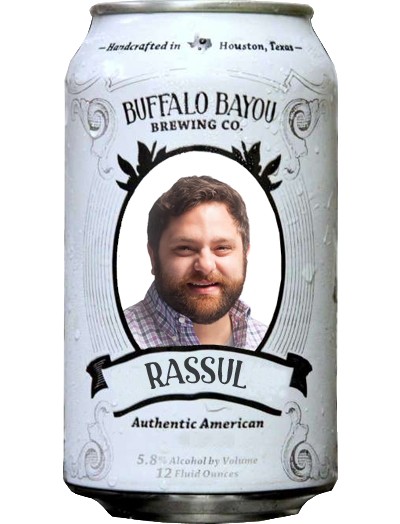 Rassul went to Rice and double-majored in Poetry & Beer. Luckily the latter had career options. 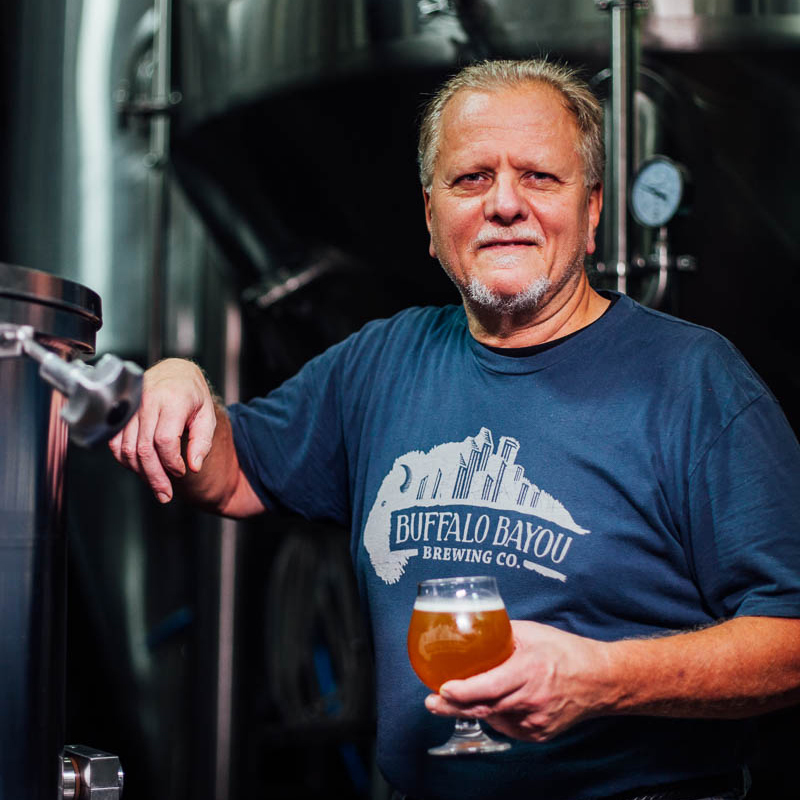 In the decade before founding Buffbrew, his experience spanned all three tiers of the Beer Industry. He bartended & homebrewed in college. Upon graduation, he worked his way from Route Salesman to Sales Analyst for the top brass at Silver Eagle Distributors (one of the largest wholesalers in the country). 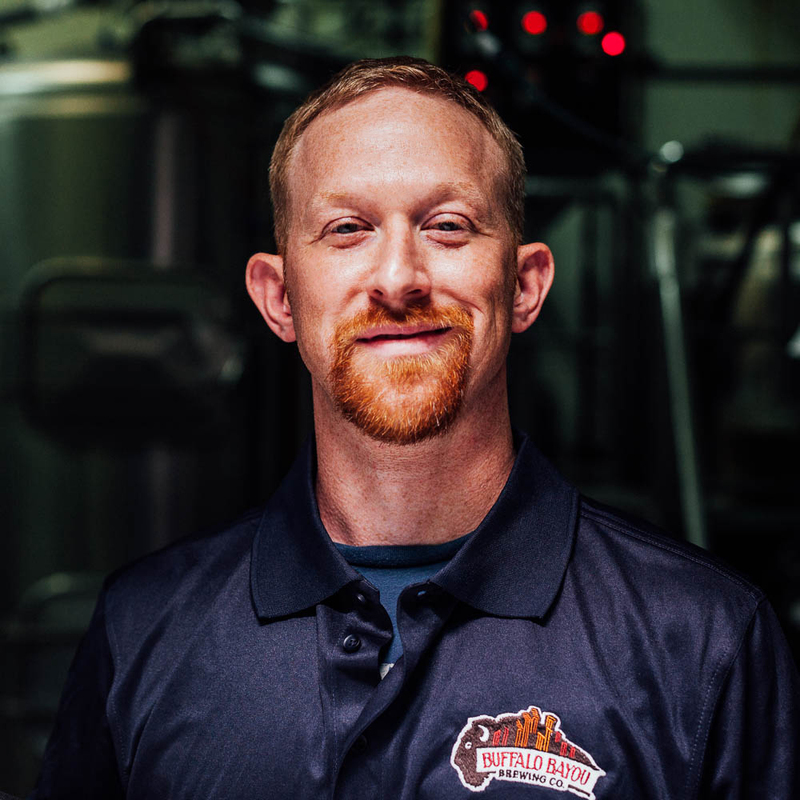 After getting an MBA at Harvard Business School, he joined one of the top 25 craft breweries in the country, helping them turn around & prepare to sell an under-performing distribution subsidiary. Rassul went to Rice and double-majored in Poetry & Beer. Luckily the latter had career options. 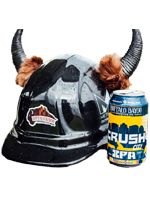 In the decade before founding Buffbrew, his experience spanned all three tiers of the Beer Industry. He bartended & homebrewed in college. Upon graduation, he worked his way from Route Salesman to Sales Analyst for the top brass at Silver Eagle Distributors. All things beer and, well, a lot of things not beer. 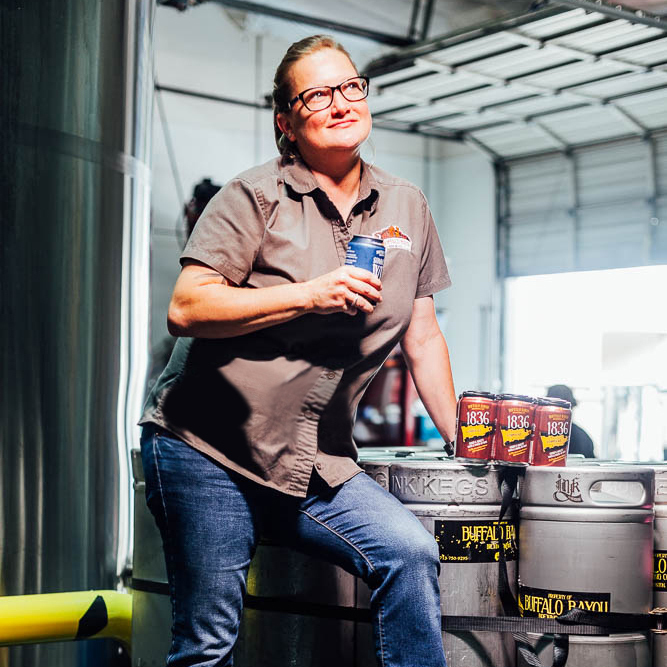 Mad scientist behind all of Buffbrew’s forward-thinking flavor combinations. He started his beer career on the kitchen side of a brewpub (hence his culinary approach to beer). Ryan & Rassul met at Uncle Buck’s in Grapevine, where Ryan had tricked the GM into buying barrels under the furniture budget and filled them overnight while the boss wasn’t looking, proving that creativity cannot be stifled even in the most corporate of settings.All things beer and, well, a lot of things not beer. Mad scientist behind all of Buffbrew’s forward-thinking flavor combinations. He started his beer career on the kitchen side of a brewpub. Ryan & Rassul met at Uncle Buck’s in Grapevine, where Ryan had tricked the GM into buying barrels under the furniture budget and filled them overnight while the boss wasn’t looking. Alex partnered with Buffalo Bayou in 2016 after a decade of experience covering various sectors in the oil and gas industry. 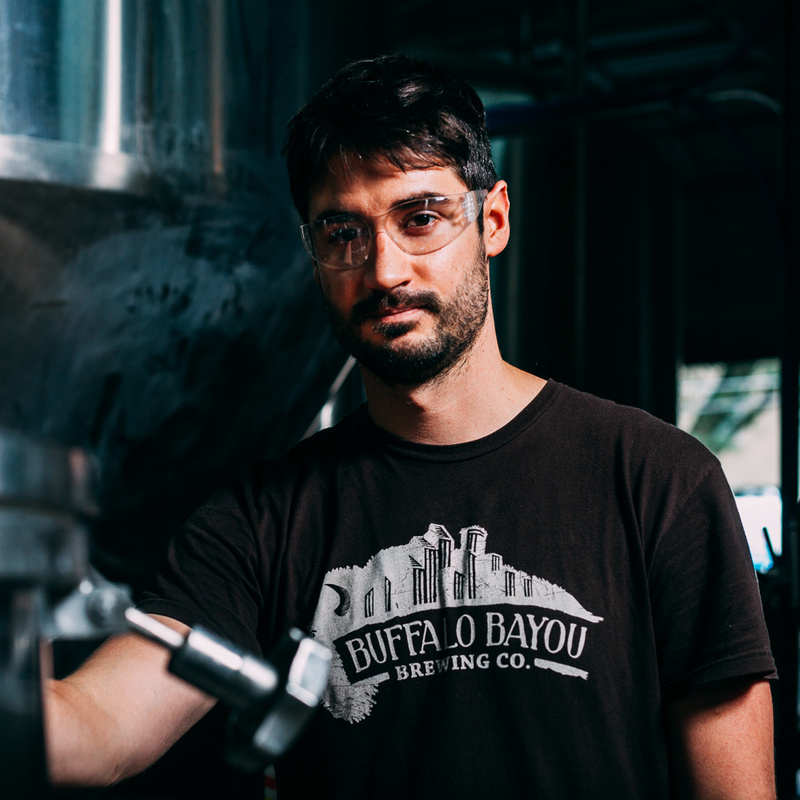 Graduating with a dual degree in Engineering, he spanned the globe in support of business development for a multibillion-dollar venture portfolio, but kept his most sacred time for homebrewing and craft beer “research”. He has since traded in the neck tie for a slightly longer beard and the ability to help a young company while doing what he loves. 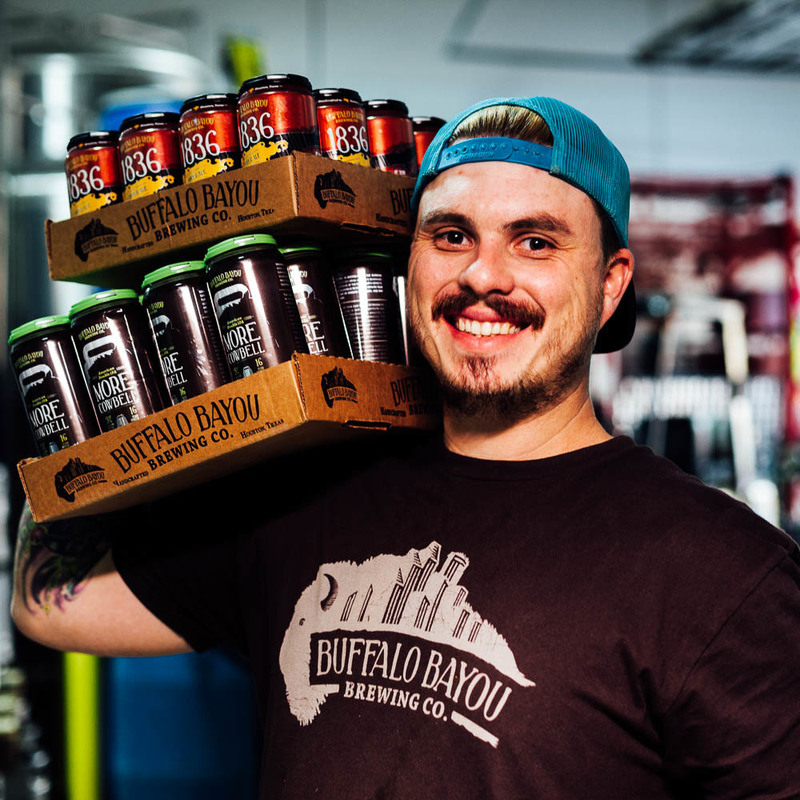 Fueled by MCB, he draws on best practices from multiple industries to drive his obsession with innovating new ways to get better tasting, more cost-effective product into your hands.Alex partnered with Buffalo Bayou in 2016 after a decade working in the oil and gas industry. 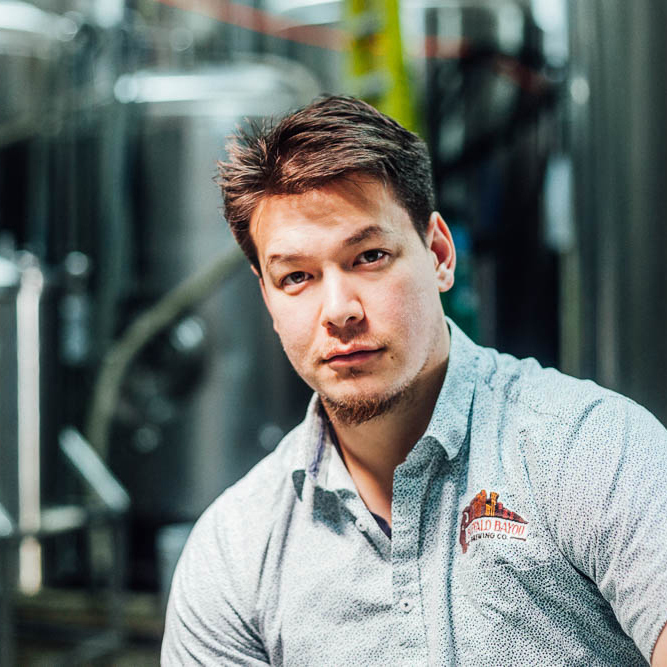 Graduating with a dual degree in Engineering, he spanned the globe in support of business development for a multibillion-dollar venture portfolio, but kept his most sacred time for homebrewing and craft beer “research”. 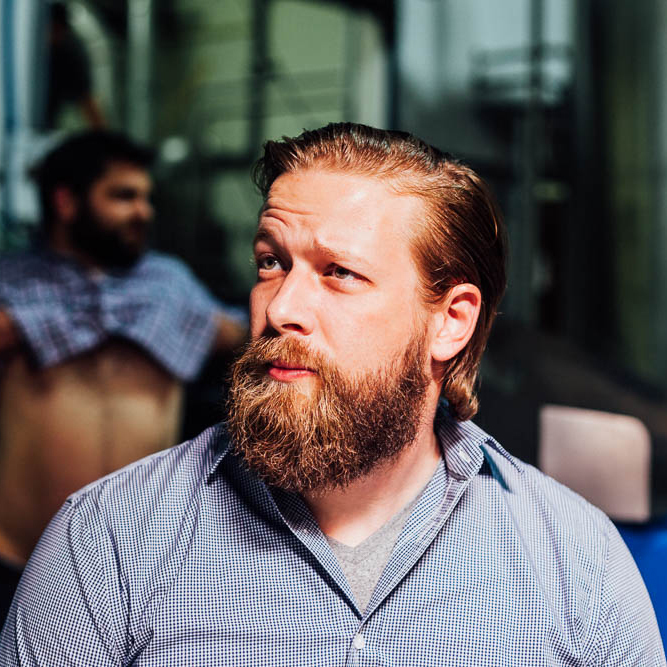 He has since traded in the neck tie for a longer beard and spends his workdays doing what he loves. 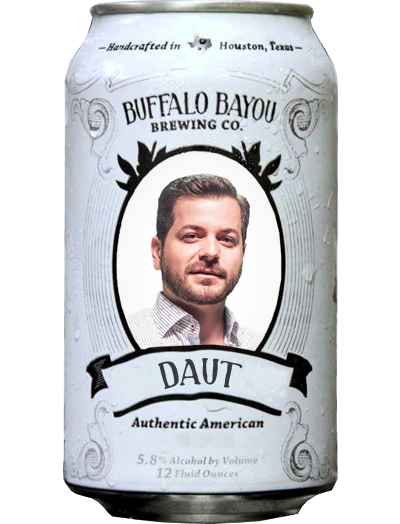 Daut joins the herd after years creating and reconceptualizing some of the top restaurants and bars in Houston. He holds undergraduate degrees in biology and chemistry as well as an MD, just the perfect guy to spearhead our new restaurant and bar. His unmatched attention to detail is off-putting as he will not consume a beer without a perfect head. 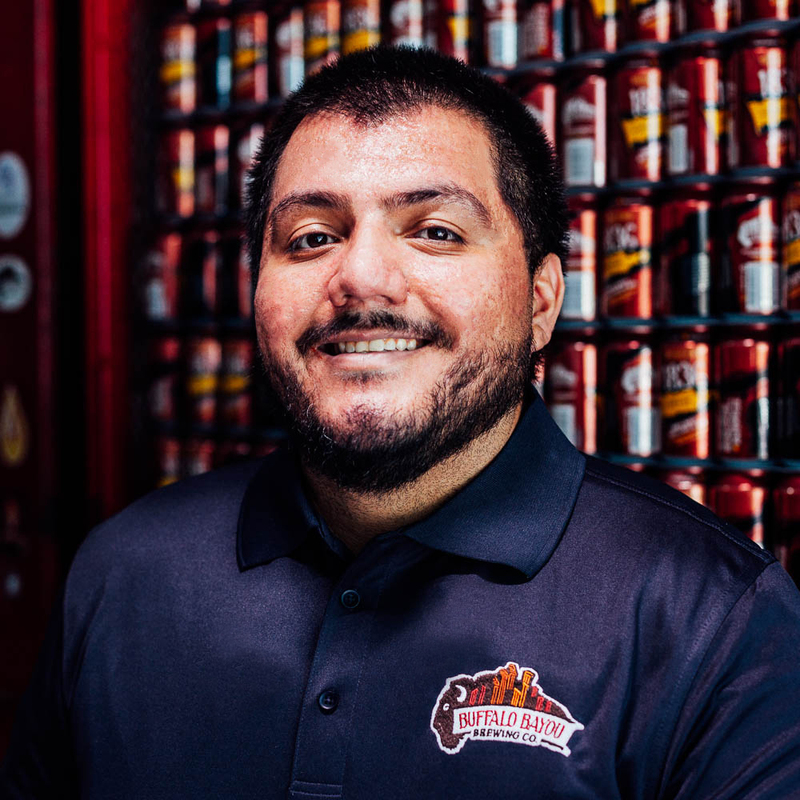 This business oriented feller fancies employees as the biggest and most valuable asset to an organization.Daut joins the herd after years creating and reconceptualizing some of the top restaurants and bars in Houston. He holds undergraduate degrees in biology and chemistry as well as an MD, just the perfect guy to spearhead our new restaurant and bar. His unmatched attention to detail is off-putting as he will not consume a beer without a perfect head. 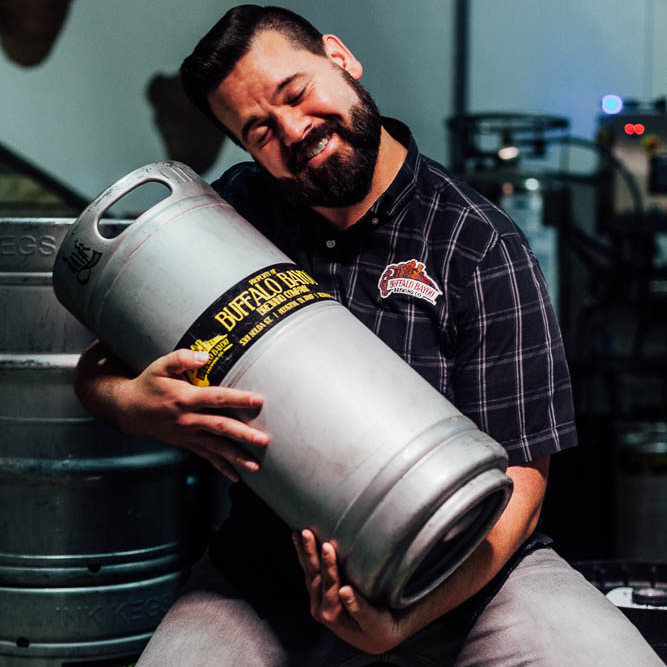 He fancies our employees as Buffbrew's most valuable assets. Sales Manager. Leader of the Herd since 2014. Known to give the best hugs in the world. Troy has 34 years of experience in the Hospitality & Beer Industry: his experience spans the full spectrum from ultra-corporate (TGI Fridays, Dave & Busters) to ultra-independent (Petrol Station, Brews Brothers). 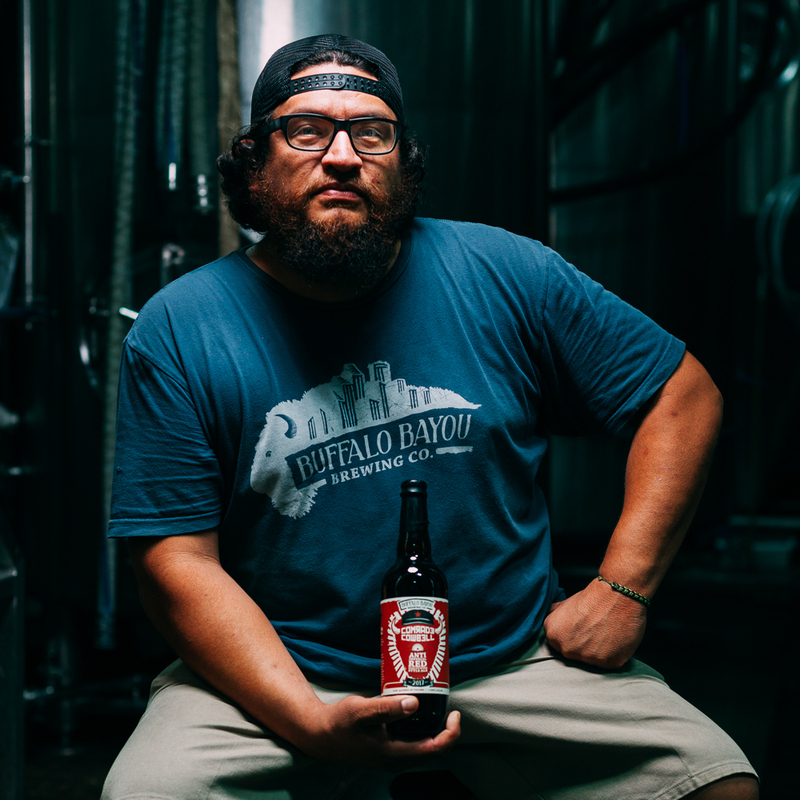 He met Rassul at Petrol Station over the first ever test batch of Gingerbread Stout a year before Buffbrew opened.Sales Manager. Leader of the Herd since 2014. Known to give the best hugs in the world. Troy has 34 years of experience in the Hospitality & Beer Industry: his experience spans the full spectrum from ultra-corporate (TGI Fridays, Dave & Busters) to ultra-independent (Petrol Station, Brews Brothers). 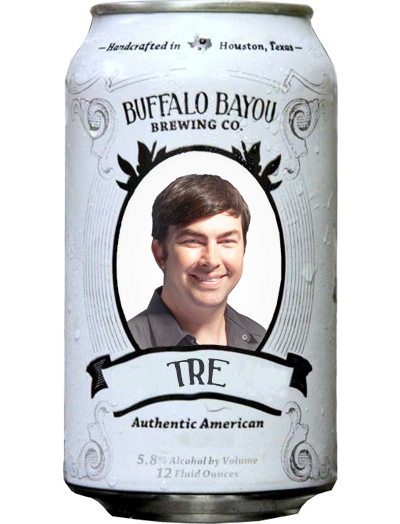 He met Rassul at Petrol Station over the first ever test batch of Gingerbread Stout a year before Buffbrew opened. Day One member of the Herd as our Brewing Operations Manager. He has a PhD in biochemistry from the University of Texas M.D. Anderson Graduate School of Biomedical Sciences and runs all of Buffbrew’s daily brewing operations. 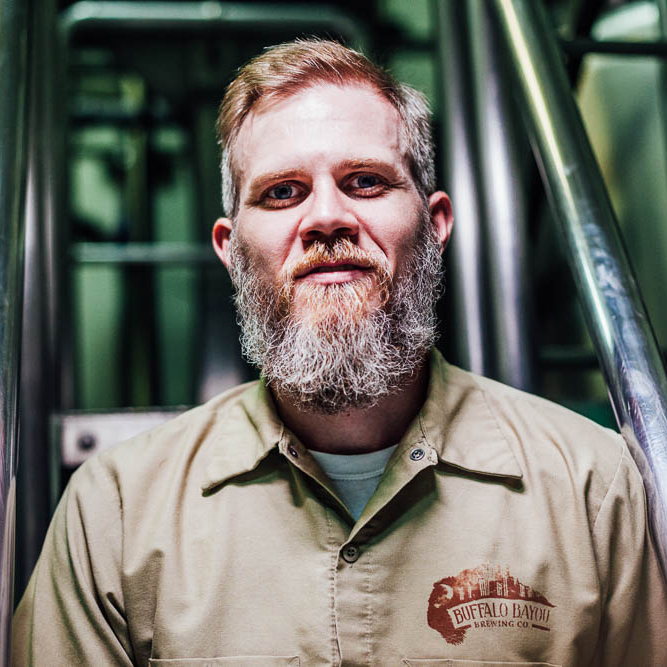 Upon graduating he traded the monotonous academic life of microscopes and labs for the exhilarating brewing life of squeegees, microscopes and labs.Day One member of the Herd as our Brewing Operations Manager. He has a PhD in biochemistry from the University of Texas M.D. Anderson Graduate School of Biomedical Sciences and runs all of Buffbrew’s daily brewing operations. Upon graduating he traded the monotonous academic life of microscopes and labs for the exhilarating brewing life of squeegees, microscopes and labs. Test tube baby. Born on the bayou certified Cajun. 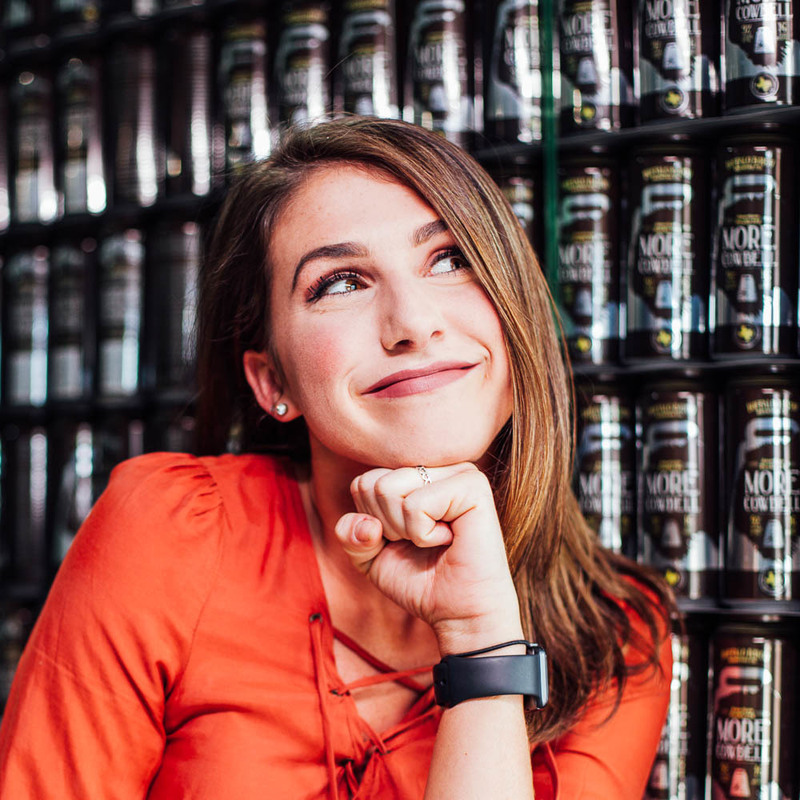 Slowly plotting to take over the world one beer at a time. Enjoys adventure, thunderstorms, and bad habits. Dislikes snakes and being awake before 9 AM. Who Dat!?!? This jack of all trades, master of all is the last line of defense when it comes to keeping things running on the operations side; amazing soundtrack included. We’d be surprised if you haven’t run into Jax before because boy is he out there. This guy is all about Houston. It’s literally in his blood. Dude’s so Houston he gets lost outside the loop. He may be super timid, shy, and quiet, but he’s a peacock so we gotta let him fly. At home, he wears the chef’s hat. Here at the brewery, Art’s the one to make sure things get done and product gets stored properly. We’ve seen him break out into a mean bout of Tetris with kegs and pallets as blocks in the cold box. We’re pretty sure he’s got the world record for his high score. She wrangles cats… And grown ups. With paperwork. On her unicorn. That has frickin' laser beams. “A quote can't define me." 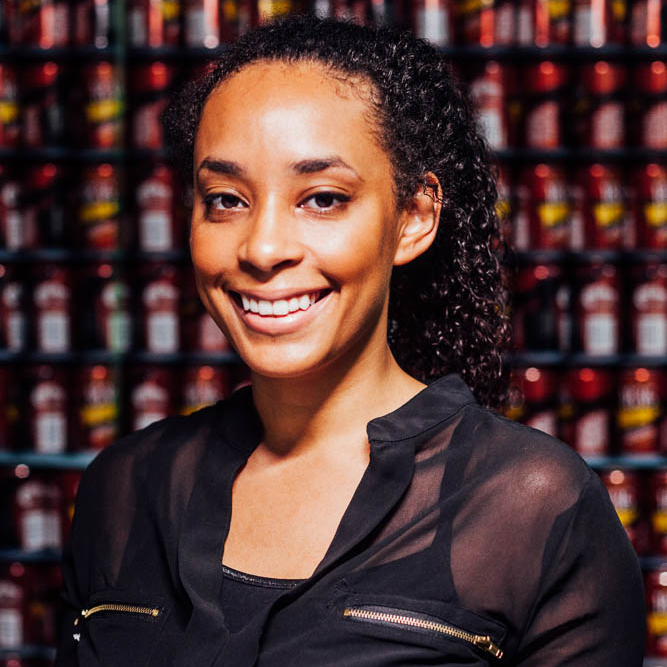 Field general of the canning and bottling operations. Carbing genius that keeps our product the freshest it can be until it gets in your hands. The office’s Ms. Fix It. Whether by keyboard or clipboard, she’s on top of keeping our heads on straight. We wouldn’t do her the disservice of saying she puts out fires, Alexa’s a dragon slayer if we ever saw one. But get this, she’s the first smile you meet when visiting, calling, or emailing us. 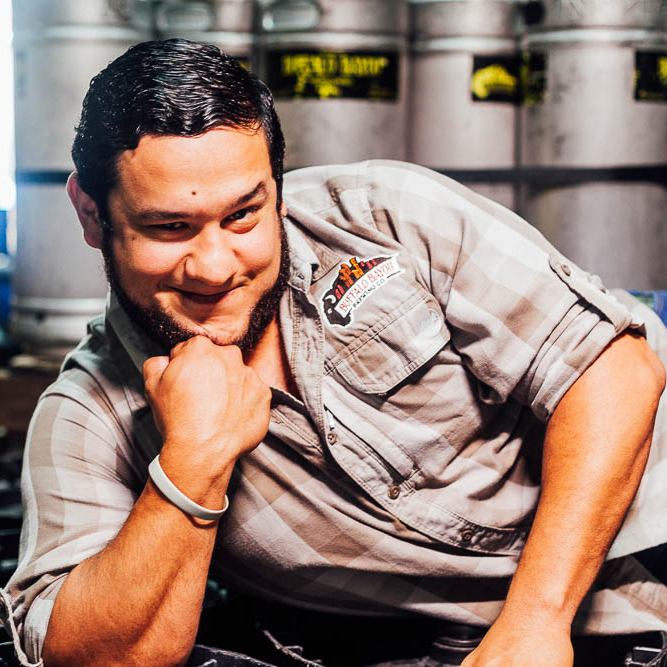 Dustin is our resident beer scientist and sensory specialist. With 7 years of quality control background and a physics degree from Southwestern University we can assure you that not a drop of liquid leaves the building without rigorous testing. We know the beer is good, he keeps it that way. Most street-stylish brewer in Houston. He's a baller outside and in. No seriously, he plays baseball when he's not in the brewery and keeps the ball rolling on the brewing side of things when he's at work. He's a hustler. He hustles hard. Balances the scales of water, malt, hops, and yeast. In the war against bad beer, he's on the front lines making the hard calls and putting in the work. The manliest of men. No nonsense, but is also one of the warmest folks you’ll ever meet. James makes order out of chaos. He also: ensures you have the best possible experience when you visit our taproom while showing off his trademark smile.